Shea, Bob. Very Good. Picture book. Sewn binding. Paper over boards. With dust jacket. 40 p. Contains: Illustrations, color. Intended for a juvenile audience. Cave Boy had lots of things. Rocks. Sticks. A club. But no pet. 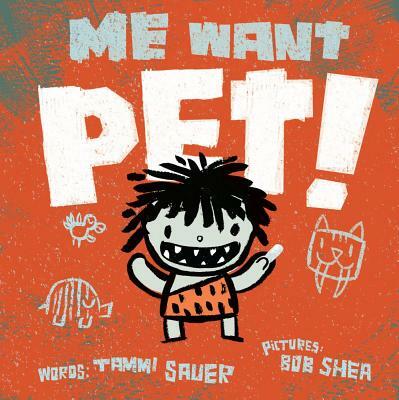 When Cave Boy decides he wants a pet, his parents raise all the usual objections. Cave Boy brings home different animals in the hopes of overcoming his parents' steadfast resistance, until he finds a Dodo bird on the verge of extinction. Illustrations. New. FAST shipping, FREE tracking, and GREAT customer service! We also offer International and EXPEDITED shipping options. Shea, Bob. New. Picture book. Sewn binding. Paper over boards. With dust jacket. 40 p. Contains: Illustrations, color. Intended for a juvenile audience. Good. [ No Hassle 30 Day Returns ] [ Edition: first ] Publisher: Simon & Schuster/Paula Wiseman Books Pub Date: 3/6/2012 Binding: Hardcover Pages: 40.